I've never been much of a talker, guess it's better off this way. 'Cause even if I had the words I wouldn't know quite what to say. Two brothers are reunited after years of geographical separation by a fortified collaboration in music. Blending the contemplative winters of the northeast with the solitary beauty of south western desert, Zack and Sam DuPont have truly honed in on their kindred songwriting synergy. 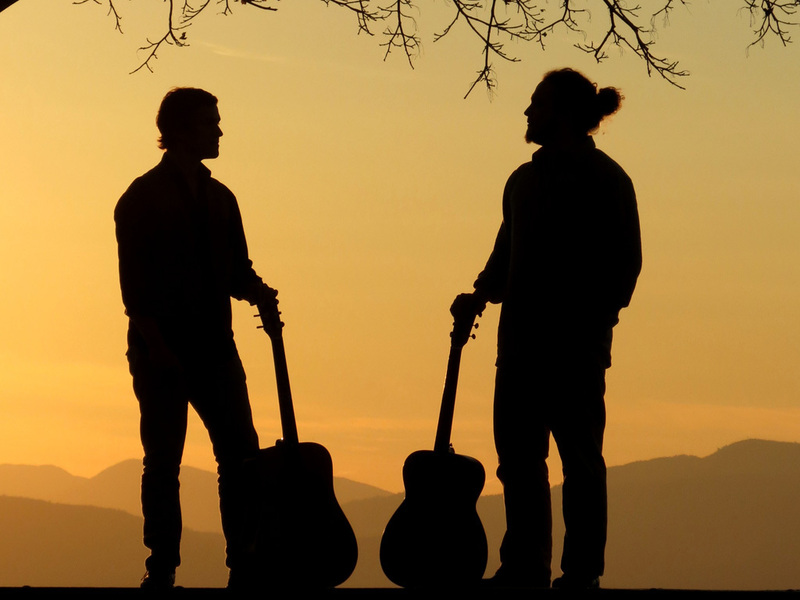 Based out of Burlington, Vermont, the indie-folk duo has hit the ground running since it's formation in March of 2013. In that time, The DuPont Brothers have played over 300 shows, covered 30,000 miles on the road, released a joint dvd-ep, full length album and have been fortunate enough to share the stage with national acts like Grace Potter and the Nocturnals, Sturgill Simpson, Ben Sollee, Langhorne Slim, Howie Day, Gin Wigmore, Family of the Year, Chris Eldridge and Julian Lage, Chris Thomas King, Johnny Swim, Robbie Fulks, The Spring Standards, Pearl and the Beard, The Lone Bellow, Della Mae and John Murry to name a few.